The idea of Healthy at Home started several years ago. 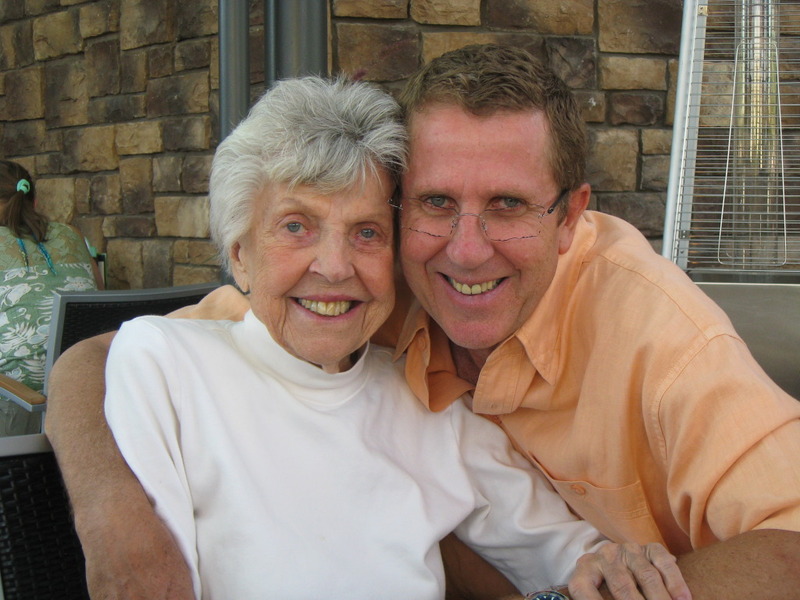 My mother, affectionately known as Daw, moved in with our family in 2008. She had her own living space but shared the kitchen with us. Daw lived independently at home with her dog Leo. She cooked many of her own meals, walked the neighbourhood, shopped at the local mall and played bridge with her friends. As her health started to decline, she moved to a senior home and finally to hospice. 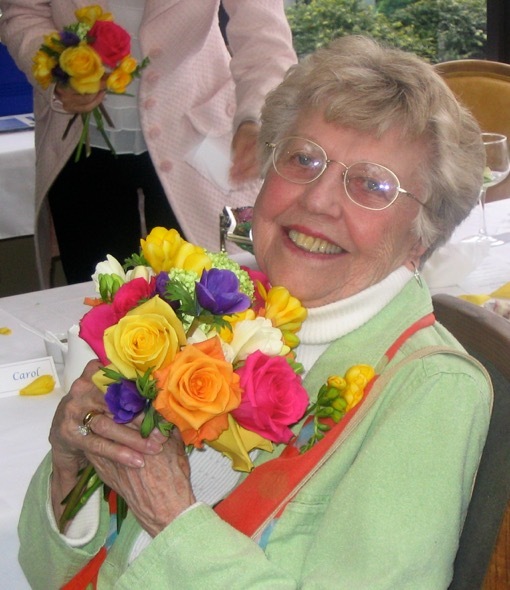 Daw passed peacefully on September 23, 2014 surrounded by her family and friends. Mom loved everyone and everyone loved her. She appreciated life and her family. With her dog by her side, she would watch Young and the Restless, Dr. Oz and CNN (she had secret crushes on Anderson Cooper and Victor Newman). Taking care of Mom, especially in the last few years, required all of my medical knowledge as a veterinarian, diplomacy and lots of patience. I spent a great deal of time asking questions, talking with nurses, doctors and caregivers, searching the internet and calling Interior Health. I was often confused, anxious and frustrated. Unfortunately, there isn’t a good manual for navigating the challenges of your loved one growing old. Families are unique and each situation is different. Healthy at Home is here to help you. Personalized service by our professionally trained staff ensures exceptional care for your loved one in their own home. Whether it’s a few hours a week or 24 hour care. Please feel free to call us anytime at 250-762-2233 and discuss how Healthy at Home can help you care for your loved one. 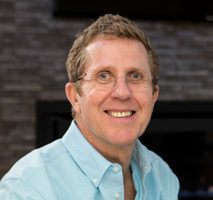 Michael graduated from the Ontario Veterinary College in 1980 with a Doctor of Veterinary Medicine degree (DVM) and the University of Western Ontario in 1984 with his Master in Business Administration (MBA). Michael has owned or managed numerous businesses in the last 30 years including veterinary clinics, a management consulting firm and a custom home building company. Michael has an extraordinary ability in organizing teams centred around effective communication. His commitment to customer service and attention to detail results in close client relationships and high levels of customer satisfaction. Michael is passionate about improving the lives of seniors and their families. He will advocate for all seniors’ rights to live safely at home with comfort, independence and dignity. Kim is a Licensed Practical Nurse and is the Manager of our Housekeeping and Health Care Services. 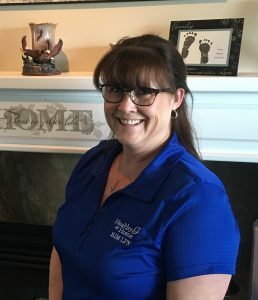 Kim chose to become an LPN to promote wellness in the senior community. “It brings great joy to my heart to build a special relationship with our senior clients. I enjoy their stories and companionship. Healthy at Home provides the kind of care I would expect for my family. I am blessed and privileged to spend time with our clients and their families”. Kim has been a Licensed Practical Nurse for over 20 years. She has a certificate in Advanced Foot Care and is a Certified Reflexologist. Kim began her career at the William Osler Health Center in Ontario. She worked in medical-surgical, cardiac, psychiatric, and geriatric wards. Kim moved to Kelowna and worked as an LPN in Assisted Living and Long Term Care and eventually into Community Care. We have over 35 staff, dedicated to providing the highest quality care. We’re not just about “the task”, we are about bringing joy to our senior clients.